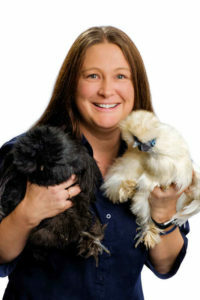 Claire is a full time veterinarian who has been working at Walkerville Vet since 2010. She graduated from Massey University in 2004. She has worked in practices in Adelaide and the UK. She has a special interest in endocrinology; the hormonal diseases of dogs and cats. She has a daughter Lucinda, and a son Vincent. She currently lives in the foothills with her family and their dogs: a yellow Labrador called Hurricane and a Staffy cross called Gambit. 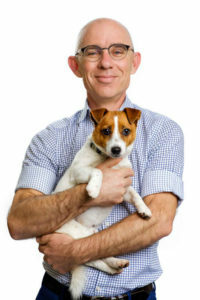 Andrew has worked in the practice since 2000. He graduated with honours in 1994 from the University of Sydney, after growing up in Victor Harbour where both his mother and father were vets. He has worked at Adelaide Zoo, completed a masters degree in Wildlife Medicine and Husbandry and in Adelaide and the UK in small animal clinics. He is married with 4 children, a Border terrier called Tinker, a Jack Russell terrier “Loki” and a Devon Rex cat called “Grendel”. In our move to new and larger premises, we’re sure you’ll like our two new vets. Both are graduates of Adelaide University’s excellent vet school.. Ryan Llewelyn is from the class of 2014, and works with us three days a week. Johann Rajasingham graduated in 2018 but before that was the most outstanding vet student we’ve had. We’re lucky to have both on our team. 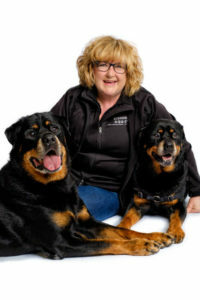 Suzanne is a Delta-accredited professional dog trainer passionate about force free and positive training methods. She has transformed our puppy school classes into something we are all proud of. 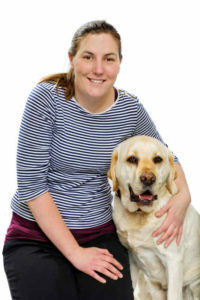 Lauren is a fully qualified, senior nurse who has been with the practice since June 2005. She grew up in the country where her ambition was to become a veterinary nurse. She lives with her husband Ben, sons Casey & Lucas, Staffies Stella and Mack and Scottish Fold cats Tilly and Hector. Krystal has gone from being our newest nurse in training to one of our most trusted team members. 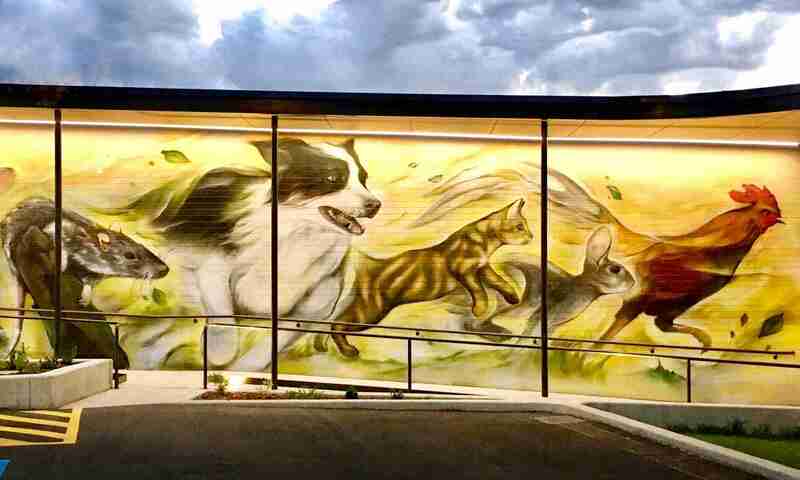 She loves all animals and brings a bright positive attitude to her work. 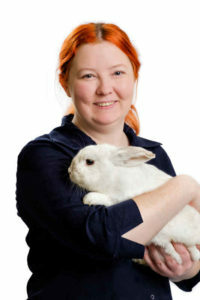 Rachel is a fully qualified vet nurse with 6 1/2 years of loving her job. To be able to greet clients with their furbabies and be able to help them makes her smile. She has a beautiful Groodle called Charlie who’s nearly 10 years old and 4 cats: Precious, Jack, Henley and Poppet ranging from 4 years to 8 years of age. There are also two cockatiels Bobbie and Spot, husband Daryl & 4 stepkids. Nicole is originally from the south coast of NSW, she is married with two daughters. She loves to do everything in the outdoors in her free time. Nicole lives with her menagerie consisting of a Labrador ‘Jade’, DSH cat ‘Sammy’, Bunny ‘Latte’, 4 Silkie Chickens, Turtles ‘Nibbles & Franklin’ and various fish. Nicole is a passionate new Nurse who loves her job. Emma is our Puppy Pre School coordinator. She comes with a wealth of experience having been in the industry for six years. 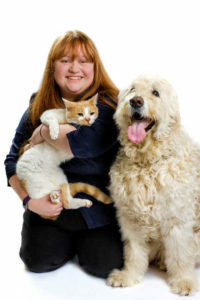 She has two cats Maggie and Mikey (pictured with the family dog Billie) and when she is not at work she is usually off wake boarding, rock climbing, hiking or tango dancing.